As a foreigner in Spain, you need to make sure you have the right to handle a car transaction there. There are specific requirements of both buyer and seller that must be followed. 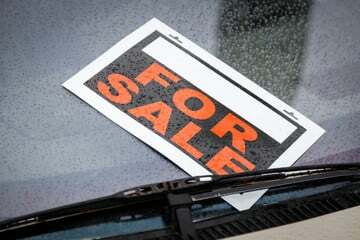 To avoid fines and other legal issues, educate yourself on how to sell a car before you begin the process. So how do you keep yourself out of trouble? Start with some basic information. The buyer of a vehicle in Spain must hold an official residency card. Your first job as the vehicle's current owner is to request permission to see this card. Make sure this gets done before you agree to a transaction. If they don't have an official residency card, a potential buyer can use the title deed to their Spain-based home. Registered members of the community receive proof showing their status. If they have received these documents in the last three months, they can use this paperwork to complete the sale. They can use this even if they don't own a home. Finally, a rental contract of at least one year is the last acceptable alternative to buy a car a Spain. Both parties should review the vehicle's documents to make sure they are originals. If the seller doesn't have the right to handle the transaction, then everything else is void. The buyer has the responsibility to match the seller's identification with the information on the original car documents. Personal responsibility comes into play quite a bit during these transactions as a foreigner or long-term visitor. The two parties need to create a sale agreement, which they will both sign to complete the transaction. However, the seller can also choose to simply give the buyer an invoice. A transfer of ownership form must also get signed by both parties and shared with the Traffic Office afterward. It's wise if both individuals keep a copy of this document for their records. Remember that large transactions like this in Spain are typically paid for with a bank cheque. Personal cheques don't come with guarantees, so this offers another level of security for the seller. A previously insured vehicle can be sold with the same coverage, if the buyer agrees to keep that policy. The buyer also has the option to cancel the existing policy and purchase another one in their name, specifying which coverage plan they prefer. Of course, the buyer cannot drive the car unless it's covered by an insurance policy of some type. The buyer needs to make sure that all follow-up paperwork gets filled out and filed with the local Traffic Office. If the seller does not do this within the usual 15 day period, then the buyer can use their copies to prove the vehicle was sold. The seller then avoids responsibility for any potential taxes, fees or fines that might be attached to the car in the future. The buyer needs to show copies of the reviewed as noted above, when they arrive at the Traffic Office. There is a 30-day period when the buyer can register the vehicle in their name without receiving extra fines. However, if the buyer is foreign, they must prove they are currently living in Spain. When you educate yourself, it's easy to buy and sell a car in Spain. As long as you follow the rules and stick to the legal timelines, you'll find this is an easy process. If you're not sure where to begin then contact one of the local experts so they can assist you. It's much better to have professional help and avoid the stress of doing it wrong. It also ensures that the vehicle is definitely yours once the process ends. You need that assurance!